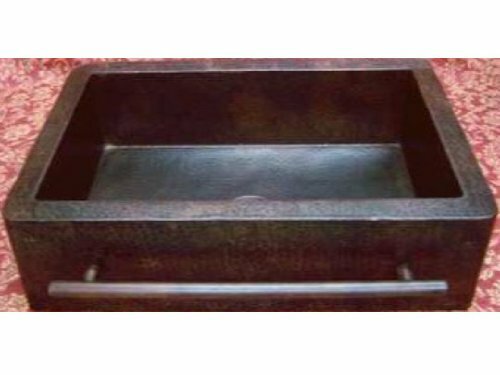 Farmhouse Apron Copper Sink With Integrated Towelbar - Dark - Standard 33"x22"x9"
Our copper kitchen sinks and farmhouse sinks are handmade in Mexico by gifted copper artisans. 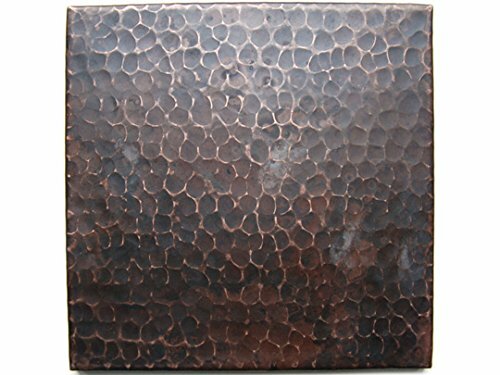 Copper kitchen sinks are a quite popular way to include a all-natural and rustic touch to any kitchen. All of our kitchen sinks are made from the highest good quality copper, usually 16 gauge or thicker. The photo depicts the item you will be receiving but note that some variation can occur due to the nature of this handmade solution. All copper sinks ship right from our factory in Mexico and have a 1-two week lead time. The sink features a countersunk 3.5" drain, which is standard for kitchen sinks. Drain hardware not included.